Hong Kong Island holidays take you to the heart of the action in Hong Kong. Here you’ll find a spectacular skyline filled with towering skyscrapers and modern amenities, as well as thriving markets and a fascinating history. When it comes to downtime, there are golden sandy beaches to enjoy, a harbour where you can book boat trips and excursions, or Hong Kong’s main park which is full of pretty gardens. Spend your days shopping until you drop in the upmarket designer shops which pepper the island, or picking up unique Japanese designs in the many boutiques. There are some fantastic rooftop bars where you can enjoy an exotic cocktail, bottle of fine wine or bubbly champagne as you take in the views. When it comes to dining, Hong Kong is home to some well-known restaurants where you can choose from international menus, or delicious traditional Chinese dishes. And if you want to visit markets and street side stalls, head to the nearby Kowloon area. 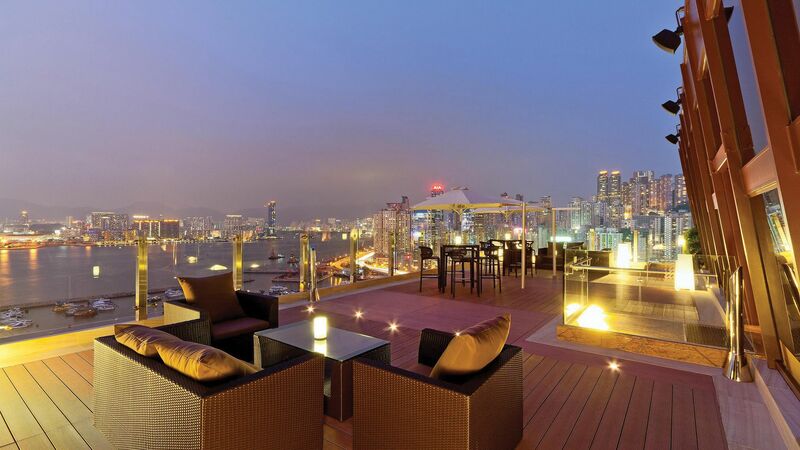 Your holiday in Hong Kong Island will centre around the rooftop. Its tall skyline is full of luxury hotels with amenities galore, rooftop bars and Michelin starred menus. Designer shops allow you to pick up trinkets, souvenirs, and fashion at great prices, while there are plenty of opportunities to relax. Spend the day at the spa or head to the large city park which has luscious themed gardens to explore, as well as an aviary, and a historic recreation of a tea plantation. Book your luxury holiday in Hong Kong Island with Sovereign and we’ll help you find the right hotel for your trip. Each of the properties we offer has been carefully selected for its fantastic amenities, with our Trusted Advisers on hand to get to know you before recommending the right choice. The Park Lane Hong Kong, a Pullman Hotel offers views of the skyline and harbour from its 27th floor, as well as elegant guest rooms and delicious Asian cuisine. Transfer time from Hong Kong airport to Hong Kong Island is approximately 1 hour. Summer months in Hong Kong are from June through to August. These months see soaring temperatures and high humidity. Thankfully for visitors (and locals), most places will benefit from air-conditioning making these months still a good option for visiting. If you are looking for more comfortable temperatures and less rainfall, October to April are the best months to visit Hong Kong. The winter months (November to February) are the coolest and are great if you are happy to wrap up and explore the city.